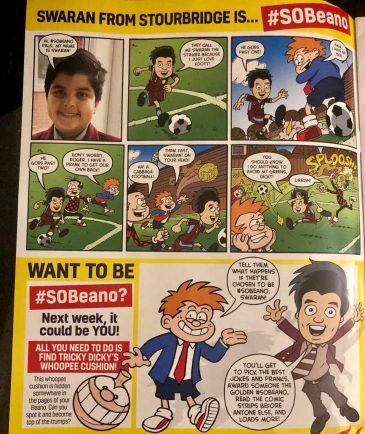 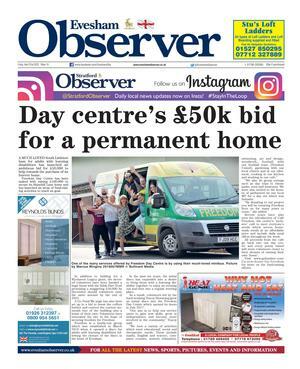 A PUPIL at Winterfold House School was over-the-moon after winning a competition to become ‘editor of the week’ at So Beano. 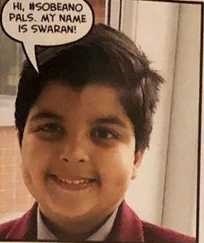 Year three pupil Swaran Guru received an email from Beano headquarters confirming his position after he sent in a joke, together with a photo of himself in his school uniform. 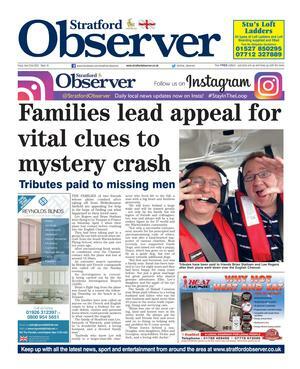 Beano then sent Swaran a brief of the So Beano comic so he could choose the week’s competition winners and the best jokes to put in. Swaran also asked its illustrator to draw a picture of him in his Aston Villa football kit. Swaran and his family were sworn to secrecy before the issue was published on January 23.